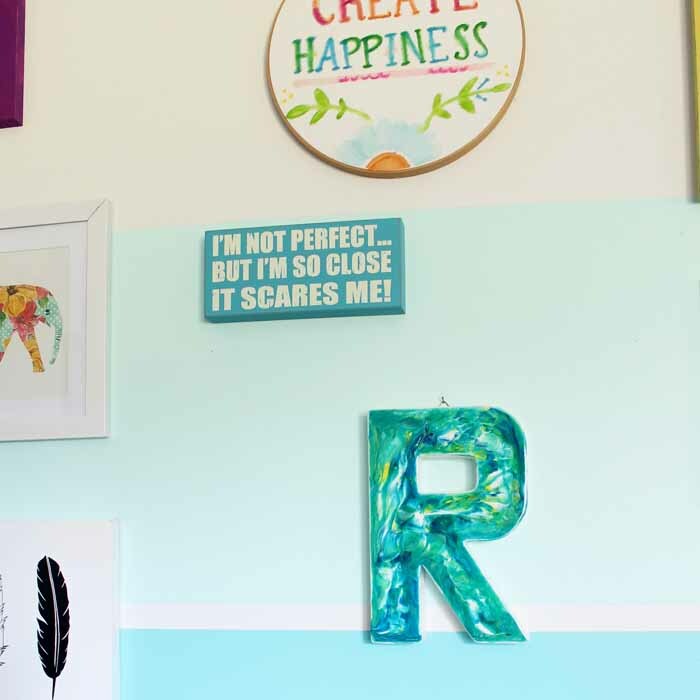 Make a marbled monogram for any room in your home. 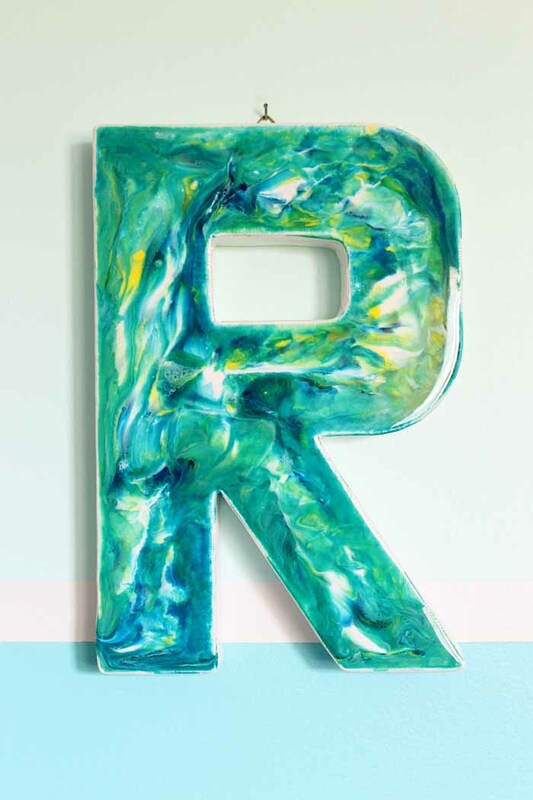 Adding marbling to any surface with resin is actually really simple. Mix up the colors of your choice then just pour and swirl! After you learn this technique, you will be marbling all the things! 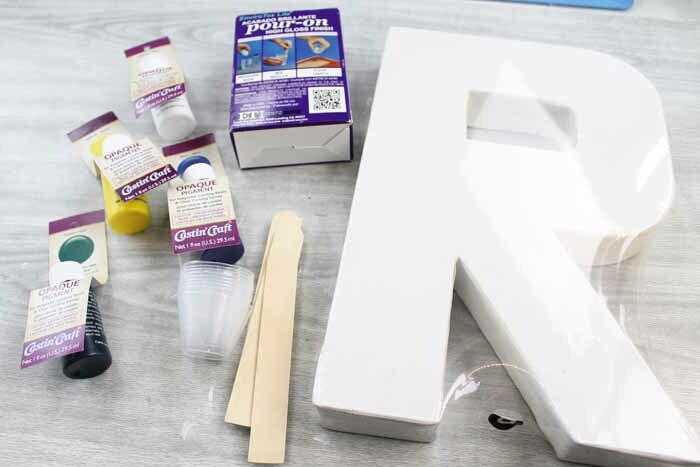 Start by sealing your canvas monogram on the front and sides with the Ultra Seal Multi-Purpose Sealer / Glue. I have had issues with canvas material creating bubbles in my final finish so this step will prevent that. Allow to dry completely before continuing. 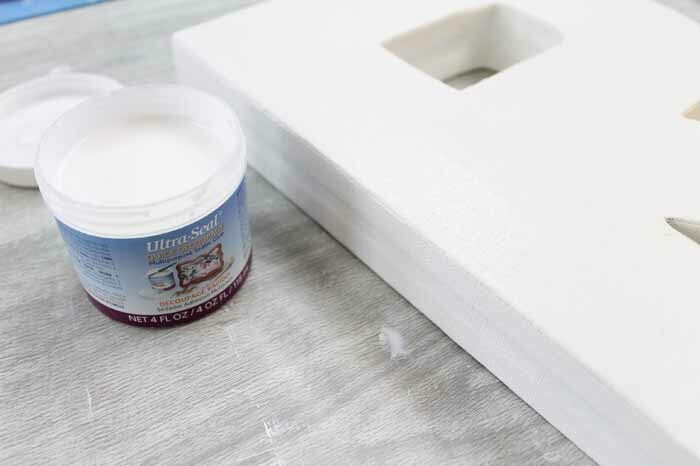 Mix up a batch of EnviroTex Lite® Pour On High Gloss Finish according to the package directions. Pour into small measuring cups. 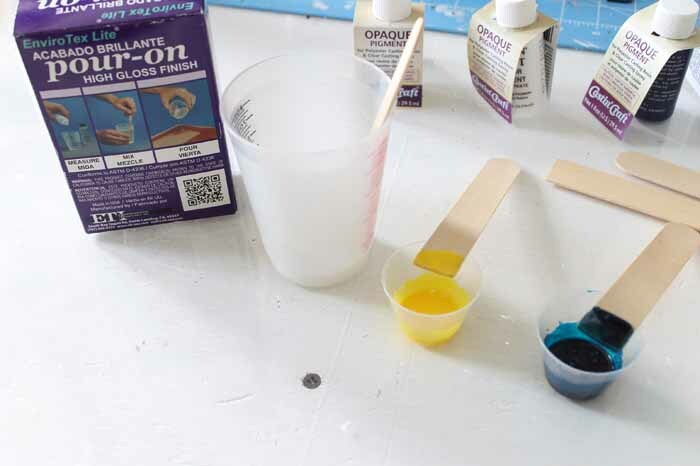 Use the Castin’Craft Opaque Pigments to tint these any color that you would like. I did white, yellow, and one with equal parts green and blue. 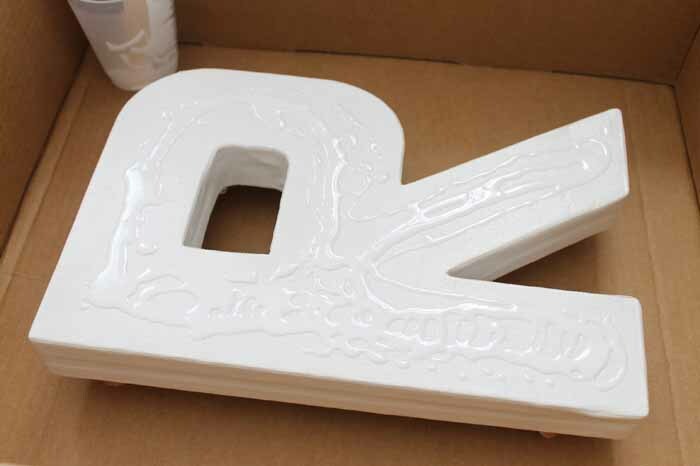 Lay the monogram in a box or protect your work surface with something else disposable. I also used a few corks to raise my monogram up off of the cardboard slightly. 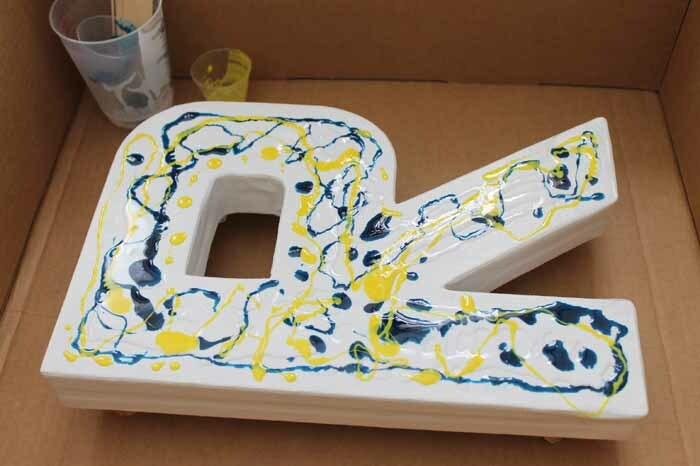 I then started my marbled monogram by drizzling on the white resin with a stir stick. 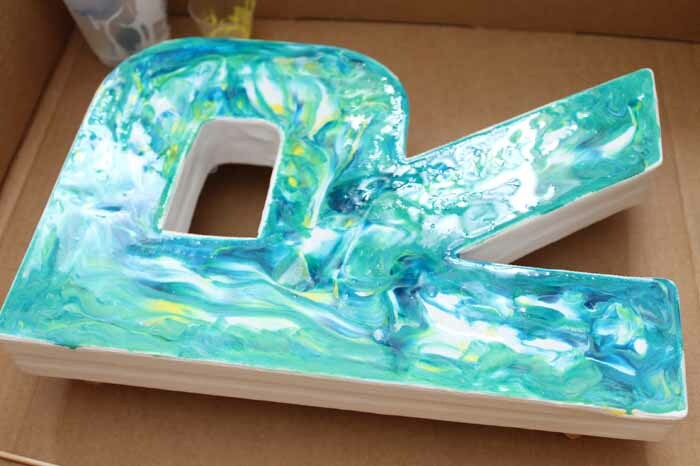 Then drizzle on the blue green resin. Then drizzle on the yellow resin. Now it is time for the fun part! I used the flat end of a stir stick to begin to swirl and mix the resin right on the monogram. Create patterns and have fun with it! 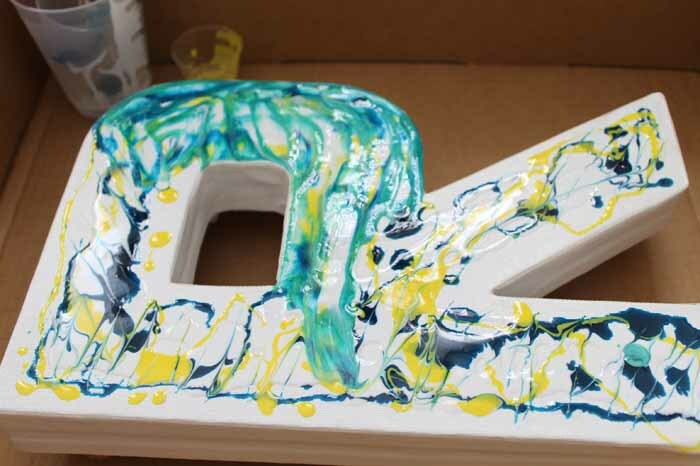 Continue until the entire monogram is covered with resin and marbled. I chose not to have the resin pour over the edges of the monogram. 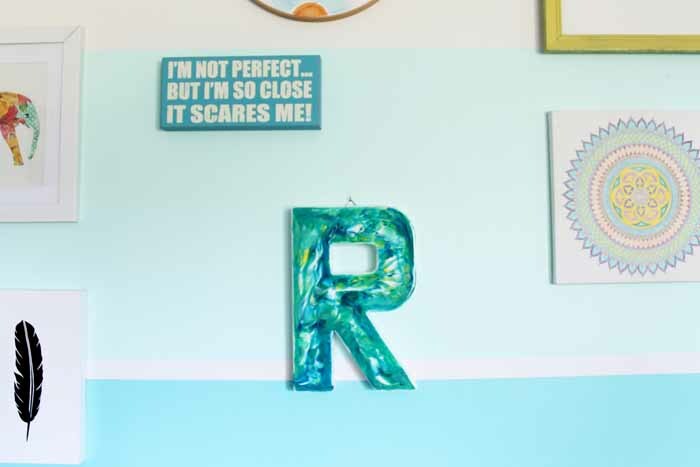 If you love that look, just use enough resin so that the excess will pour over all of your edges. Then just pop any bubbles that come to the surface according to the package directions. 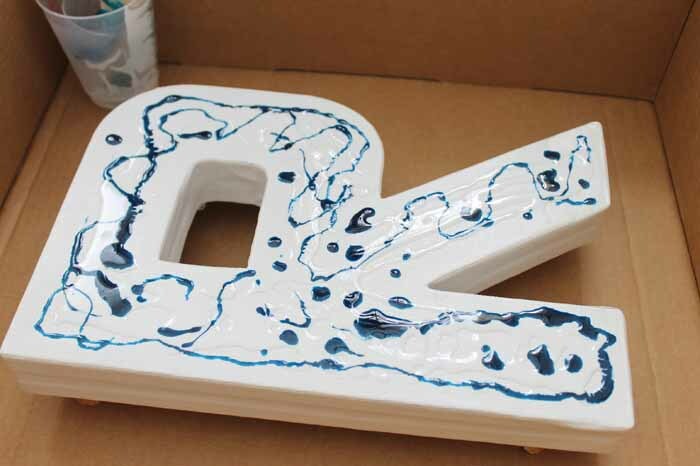 Allow to cure overnight and then you have a gorgeous marbled monogram that is ready for hanging in any room of your home. I love the glossy shine to this one and all of the really cool patterns I was able to achieve. I can’t wait to use this marbling technique for so many more things around my home! 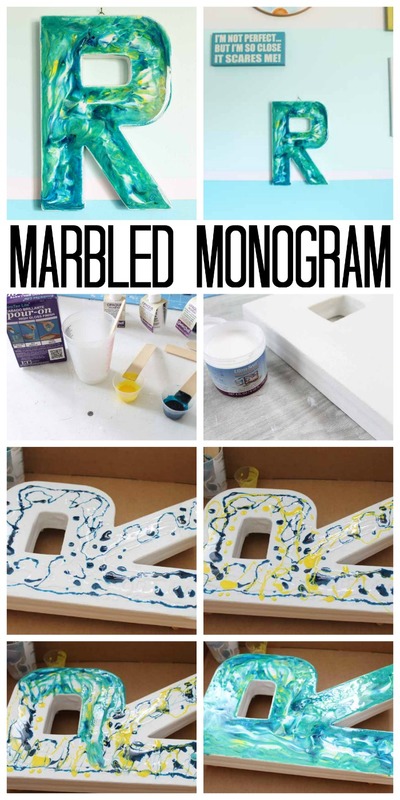 Be sure to get started on your own marbled monogram today or just use this technique to marble just about anything! Can you imagine everything you can do with this? I love monograms! This is such a neat way to marble. Thanks for linking up with us at the #HomeMattersParty this week.